"My practice often combines real estate and estate planning. I am calm by nature, regardless of the type of client, and my experience lets me quickly see where things are going and where our time needs to be spent. Clients like that I'm a problem solver and responsive, and that I’m not adversarial." "Liskow & Lewis consistently provides a superior level of service for our real estate acquisitions. Their understanding of the risks to both our business and our future customers is unmatched. This is especially true of Peggy Adams, Ryan Christiansen, and Joe Wilson. Their expertise provided our company with the confidence necessary to successfully make large investments that we may have otherwise opted to avoid." Peggy Adams is a business lawyer known for her sophisticated transactional work involving large, complex industrial plants in Louisiana. She practices in the areas of real estate, finance, general business, probate and estate planning. 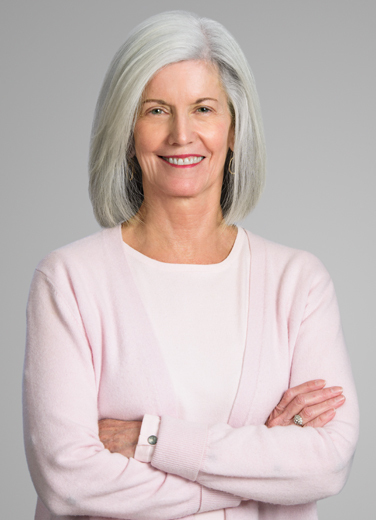 Peggy represents developers and business owners in asset acquisitions, and in the purchase, construction and financing of commercial office buildings, hotels, residential subdivisions, shopping centers and industrial facilities. Peggy, a board-certified estate planning and administration specialist, is a Fellow of the American College of Trust and Estate Counsel. She advises clients about wills, trusts and estate planning, including the disposition of closely-held businesses, taxation of estates and other estate planning needs. In addition, she handles probate matters and represents trustees and corporate fiduciaries. An elderly widow was referred to Peggy by a local CPA. Her estate contained several pieces of real estate in various stages of being developed and there was a concern about the client's tax exposure. Peggy recommended putting the properties into an LLC structure, offering protection from liability, and transferring interests in the LLC to family members, reducing the taxable estate. As a result, Peggy helped the client with her individual exposure and with developing an orderly transition for her estate, while saving taxes. Peggy also recently represented a multinational corporation in its acquisition of an existing, but shuttered chemical plant along the Mississippi River. She reviewed concerns regarding rights of way needed that may have been lost due to nonuse. Peggy is actively involved as a Member of the Council of the Louisiana State Law Institute. "I serve on the Successions and Donations Committee and the Trust Code Committee," she noted. "These committees are charged with updating and revising Louisiana law in the areas of Wills, Probate and Trusts." Peggy combines her two favorite hobbies – cycling and reading – by starting each day with a 10-mile ride from her house and through Audubon Park, while listening to a book on her iPhone. She only listens while in the Park (she knows she needs to listen for traffic on the streets outside the Park). She loves all kinds of books, particularly historical fiction, which adds a lot of texture and context to her travels. She and her husband, Tom, try to take at least one bike trip in Europe a year and end with a week in Paris. Peggy has two grown daughters, Maggie and Claire, and a wonderful son-in-law, Marcus. She enjoys spending time with them – and when possible, bringing them along on trips.